I mentioned the fun Ikea Drapper Event that Snap co-hosted in last week’s What’s For Dinner post . In addition to feeding a bunch of us bloggers, introducing us to their brand new fully solar powered remodel, and giving us first peek at the new catalog a long with some other awesome swag. While I was there I picked up one of their awesome STIG stools they were only $16.99 and come in both bar and counter height. A steal right? Sometimes when I have a lot of iron-ons or orders to cut out I get tired of sitting so I’ve been looking for the perfect stool. The chair is comfy enough but I thought that it would be nice to add some padding and them snaze it up so that it coordinates with the rest of the room decor. I’ve got those awesome Ikea Expidit shelves all over and had some fabric left over from the fabric covered boxes that I use in the shelves so it worked out great. I also wanted to add a little organizing pouch so I can keep my tools close by while also freeing up table space. Today I’m going to share how to cover the chair and then next week I’ll be sharing how to make the pouch to add to the sides. Lay the seat piece and cut out your fabric. Leave a generous margin 2-3 inches around on the outer fabric. You do not need a margin for the fleece. I did my fleece three layers thick and it’s super comfy. Place the fleece in the middle of the top fabric as shown above. Lay the seat piece on top of the fleece and start taping by pulling the side over and taping to keep the fabric in place. It should be taut but does not need to be super tight since when you put it on the frame that will need some room and hold the fabric in place. Pop seat top on (I had to use my knee for some extra umph). Don’t worry it pops off really easily so if you want to make a pouch you still can. 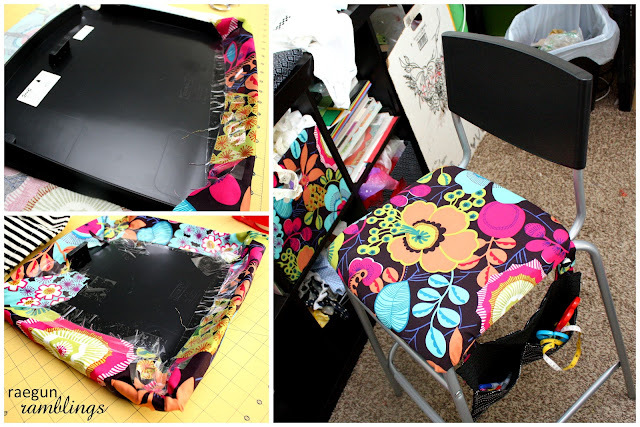 Lay seat back on top of fabric and trace with a fabric marker. I layed it, traced around the side and rounded edge then rolled it over to get the top edge and layed it down and continued tracing. Cut around leaving a 1 inch margin on each side and along the top and a 3 inch margin along the bottom. Cut. Lay over the back rest to check size. Fold bottom edges over making sure not to fold too short. You do not want any of the back rest to peek out. Hem both bottom edges. Fold in half with right sides together and stitch up both sides. You should now have a little pouch. Rightside out the back rest cover and slide over the back rest. Tuck in the top corners of back rest cover and you’re good to go! Check back in next week for the full tutorial for the pouch because I think this post is long enough haha. Thanks again so so much to Ikea Drapper and Snap for the fun event! Check out more fun pictures of the event here. Part II The Pocket is now up, see it here. Thanks for linking to our first Eat Make Grow Blog Hop! I just spent way too much time ogalling all the cute things in your etsy store. I’m so impressed with all your fabric craftiness. Once the garden is done for the year I’m going to come back to the pages I bookmarked and make some pillow cases, uber cute baby wear. We are already on to Blog Hop #2. I hope you’ll come and link to that one as well. Feel free to link to any older posts if you think they are timely and pertinent. Marissa! This is incredible my friend! I LOVE what you did. It was so wonderful to meet you at “Oh My Crafts!” I’m LOVING your blog girl! We SO need to be blog buddies ok?! This is awesome!!!! I love that pocket that oh made, so cute! Thanks guys I’m super happy with it, I smile every time it catches my eye soon enough this room will be decorated. 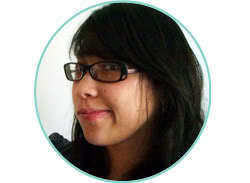 And Jess let’s definitely be blog buds! This is AWRSOME!! I’m totally doing this! Well I can’t wait to see how you attached the pocket. This would be a great idea for classrooms. I had made pockets for the back but hadn’t thought about the side. Pinning this so my ole teacher buds can see this. This looks great, I love the fabric!! Love it! That fabric is so cute, and the little pocket is perfect :-) Stopping by from Sweet Sharing Monday! This looks A-mazing! Love the fabric and the little pocket is genius! 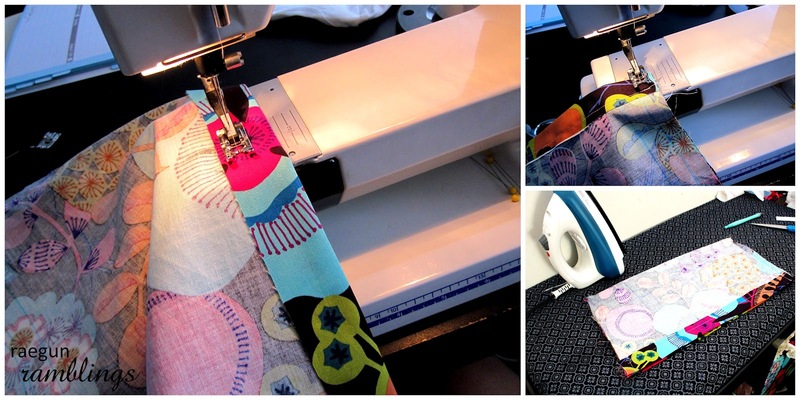 I clicked over just to check out that super cute fabric and love the post as well! Nice job Marissa! 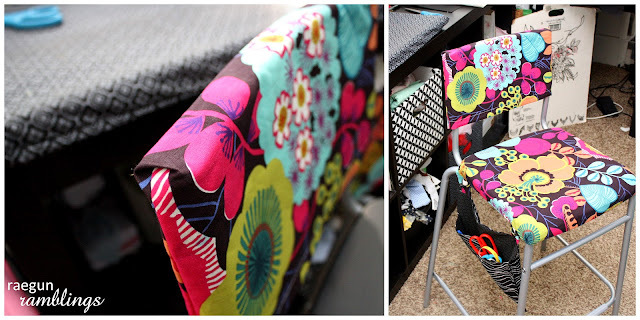 A side pouch is a great idea for a craft chair — a crafter’s alternative to a tool belt! thanks it’s totally like a tool belt I love that! This looks great! I love the pocket! Love, love, love! I too love IKEA (although I don’t have one close). The chair is perfect and I love the little pouch. Great job! Love seeing Ikea ideas! Found you on the SNAP linky! Found you through the blog hop on Snapconf! I love the fabric you used on your chair. Seriously, it is incredible! Where did you find it?? Looks great…love the colors. Seems like it would make a cheery spot in your room. I just LOVE it Marissa!!! Everything about the chair is PERFECT!!! This chair came out great! I love it! I’d love for you to come share this at our Pinteresting Party! This is such a quick and easy tutorial. I love the fabric you have selected. It’s so fun! such a fun idea! and I love the fabric!! Thanks for linking up this week! I’ve featured your post in my wrap up! http://tidymom.net/2012/12-creative-ideas/ Have a great rest of the weekend! Just a note about your pattern for the seat back — your directions aren’t clear about doubling the fabric over to make a two-sided piece. In order to cut out enough fabric for the seat back cover, you need to trace the seat back TWICE: once on the bottom three sides, then flip it over and trace again to make the cover go all the way over the seat back. Or you can double the fabric underneath the seat back and trace that way, as long as you keep the folded side intact on top (no cutting). good catch i just edited it. To get it to have no top seam you don’t want to cut two pieces you want one long piece. I love how you did this! Is the fleece padding comfortable enough to sit on the stool for a couple of hours? I am thinking of buying two STIG stools and refurbish them, but am a bit worried they might get uncomfortable quite soon.